These looks actually are a trick to do on your own and take some effort to achieve that effortless glam look. The main ingredient that pinup styles have in common is V for volume! This means just the right use of mousse, hair spray, and a girl’s best friend…bobby pins! Your glam team at Pinup Salon knows just how to accomplish that luscious hair look even if your hair is fine. 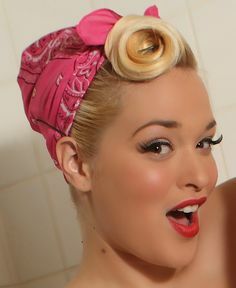 An easy way to get started is with a Rosie the Riveter pinup bandana look. This has a front wave bump or pin curls in your bangs to create volume in front with it all held in place with a bandana or scarf. A popular retro look from the 40’s features victory rolls in a beautiful up do. Pin curls can create an instant special vintage style. It takes your stylist working your hair in many small sections and controlling where those curls are destined to be! Pin curls have lots of variation and options for both long and short hair. Rita Hayworth exemplifies the look. One of the most dramatic Pinup styles is the perfect style to slim your face and give you instant height. 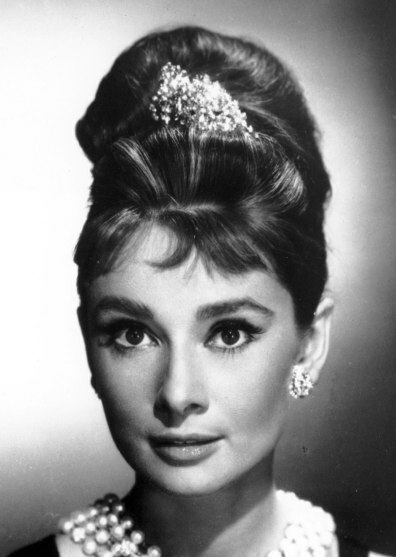 Very few actresses can rival Audrey Hepburn’s most elegant beehive made famous in “Breakfast at Tiffany’s”. Blake Lively was stunning with her rendition of Hollywood glam and just may be inducted into the Hollywood “Hall of Glam” with this one. Regardless of which Pinup style you choose, know that your style mavens at Pinup know just how to achieve that endless, classic look that is sure to turn heads.